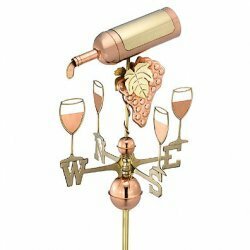 No, we don't make weathervanes, but we know people who do. The picture Hummingbird with Flowers is from our friends at www.garden.com. They add so much interest to my garden area that I decided to included them. 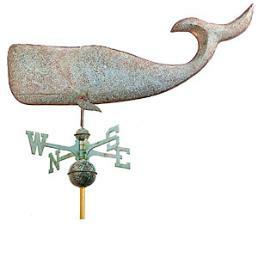 A vane is a mechanical device attached to an elevated structure, it rotates freely to show the direction of the wind. Vanes have always facinated me. There are so many designs to choose from that you can really express your artistic side. The word "vane" comes from an Anglo-Saxon word "fane", that means "flag". Carpenters and furniture makers were the first artisans to make these works of art and of course they were made from wood. Next, blacksmiths and tinsmiths used iron, copper, and tin to make theirs. In the 19th century "molds" were used and the manufactures were able to "mass" produce them. The "Art Object" became very ornate at this time. The designs began to change too. More exotic animals, mythical type creatures, flowers, trees, and trade signs were made. The older, copper designs were slowly going by the wayside and many of the old characters were being thrown away. In fact, a copper design in Woosocket, R.I. was auctioned for $1.2 million. It had set on top of the train depot for the past 100 years. These wonderful pieces of art definitly had there place in the past. Sailors and farmers depended heavily upon them. If they had not been able to tell when the wind direction changed, they probably would not have survived. Of course now we use our "flags" as ornaments in our gardens. 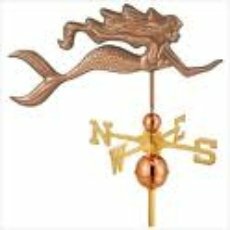 I got my vane many years ago while my daughter and I were antique shopping. Mine is very traditional and I love it! 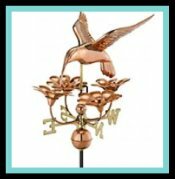 weathervane craft for you to do with your children. Have Fun! Don't forget to take a picture and submit it to our "Art Gallery". 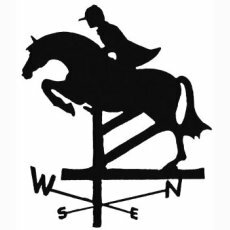 If you really want to know more about weather flags, there are clubs that you can join that "talk" about nothing but the subject. I think that is very clever. 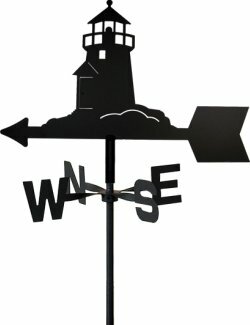 I have included more weathervanes pictures on the next page. I hope you enjoy looking at them and that you also get inspired enough to purchase one. These garden art pieces would be a good addition to your home, barn, garage, shed, or deck. They add that finishing touch. 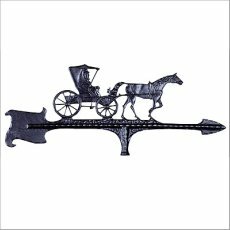 You can buy new, antique, large, small, or even custom made weather vanes. 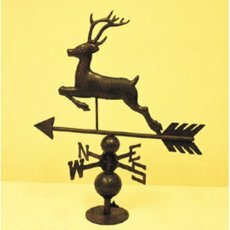 Weathervanes make very memorable gifts.